I started running after my son was born with a heart condition. It was quite a stressful time and the support worker from the BHF got me into running as a way to keep me calm and to try and raise some funds. I signed up for a half marathon and did a couple of parkruns as training. 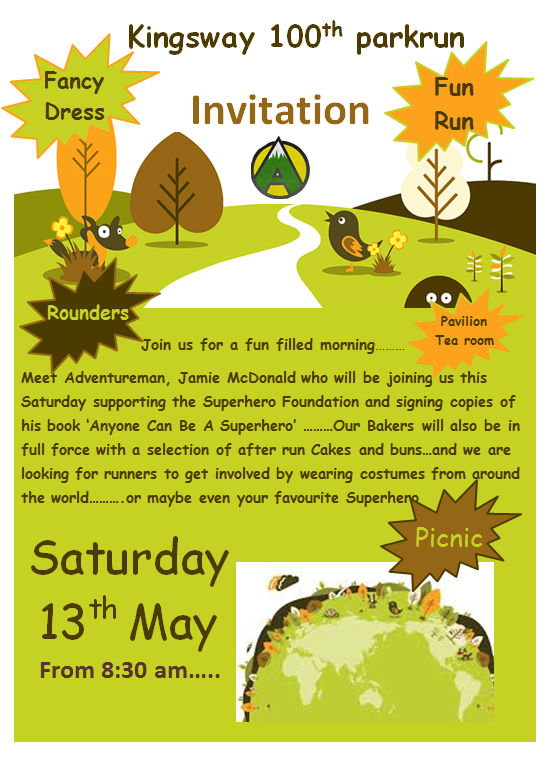 I liked parkrun before I came to Kingsway, but when this parkrun started I felt I found my parkrun home. Everyone was so friendly and welcoming and we have a good laugh every week. I like the fact that every Saturday I have achieved something by about 10am! Everything! What is not to like? It’s free, it’s fun and it’s full of lovely people! Run report writer! 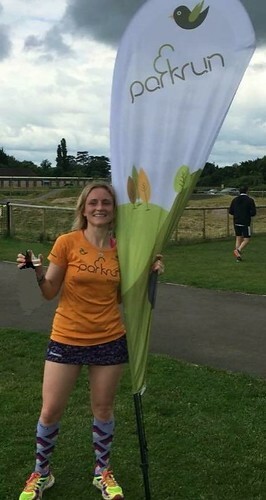 The first parkrun I did at Kingsway I was third woman (I’ve slowed down a lot since then!) , I didn’t really think anything of it or even realise at the time but later that day someone shared the ‘run report ‘ with me and my name was up in lights (well writing anyway) and I felt quite chuffed. A lot of people who come to parkrun did not enjoy sport at school and never got their name up on the board! I love it when I mention someone who has achieved a milestone, got a PB or just demonstrated the spirit of parkrun and I can give them a mention. My favourite run report was the anniversary report – I got lots of people to make comments about what the run meant to them as a surprise for the core team who work so hard to put the event on and it was really nice to be able to recognize that. Breaking 30 minutes with the double buggy was a personal highlight, I think my funniest moment is yet to come, I am planning on doing the Christmas parkrun in my runderwear to help my London Marathon fundraising! Kingsway (obviously) but I really enjoyed Llanhydrock when I was on holiday in Cornwall, it was really beautiful. My parkrun bucket list comprises on Portrush in Northern Ireland (I have seen pics on the run mummy run page and it looks stunning), Bushy Park (just because) and Bath Skyline which also looks lovely and is fairly local! 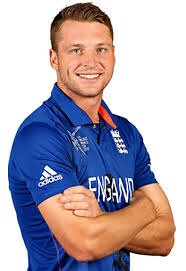 I would really like my brother (England cricketer Jos Buttler) to run with me one day. He really inspires me so I hope that he could get me to a new PB. Any cake is always welcome but I love lemon drizzle. 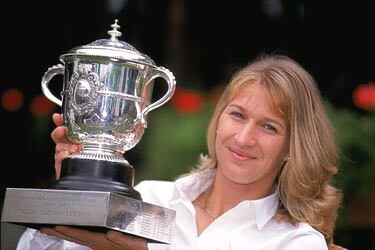 I did once have a piece of Michelle Craker’s Gin and Tonic cake which was heavy on the Gin and light on the tonic and I decided it would be better not to drive home after that one! Until recently I have not listened to music when running, as a buggy runner I actually find it quite frustrating when people with headphones and loud music can’t hear me and I end up nearly running them over! I have just been given a pair of bone conduction head phones for my birthday however and I listened to Leona Lewis ‘Run’ and Elbow ‘One Day Like This’ on the way round. The British Heart Foundation, they helped save my son’s life and my husband and my sanity. I will never be able to raise enough to repay them! 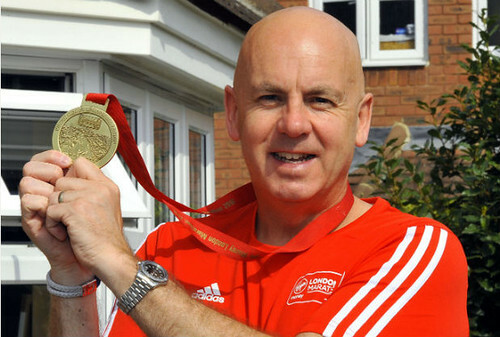 Well aside from my baby bro, Steffi Graf and Ian Brown – anyone who runs a parkrun two weeks after having a brain tumour removed is frankly a hero! What are your running aims? I dream of a 22.30 parkrun. But I need to find more time to train……I also love helping others achieve their goals. I have paced a few times and got a few people to their PB. 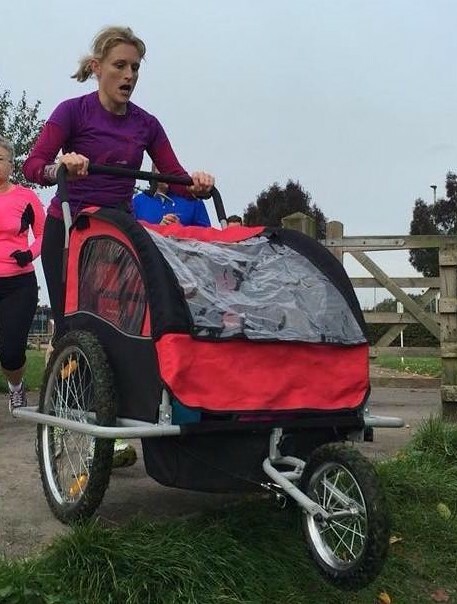 Karen Paice’s journey this year has been really inspiring – I want to get her to sub 30!